We paid Yeast a visit.. the Spanking new French Boulangerie – bistro on Jalan Telawi..
I’m sometimes asked what I miss about Paris, and after all those years of study in the UK, I can still answer without hesitation, the breads. Yes though you can pretty much get anything you want nowadays anywhere in the world, the bread in Paris is still pretty great. Not every bakery makes a good baguette, but when you get a good one – one that crunches with a loud, noise – and as you bite through the crust and the inside has a creamy color and a slight tang from a bit of levain (sourdough starter)– apart from a swipe of salted butter or a bit of cheese , all else is false. Only the breads are true. 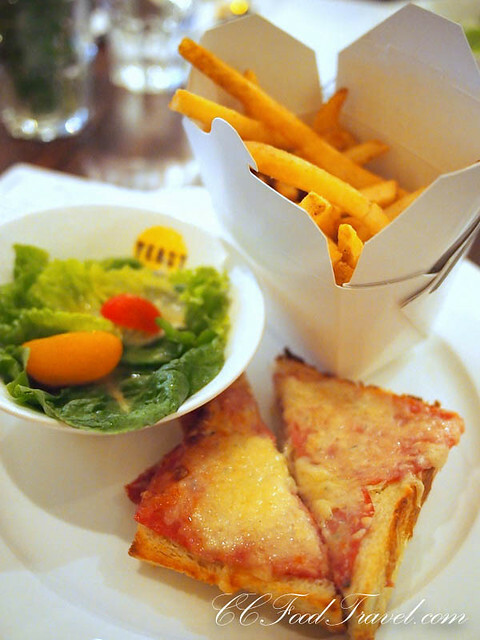 And perhaps one of my all time favorite snacks from the Parisian cafes would be the Croque Monsieur. One of the most memorable Croque Monsieur I’ve had in Paris arrived served on a piece of Pain Poilâne, topped with a smear of béchamel sauce, then a few choice slices of ham and cheese. 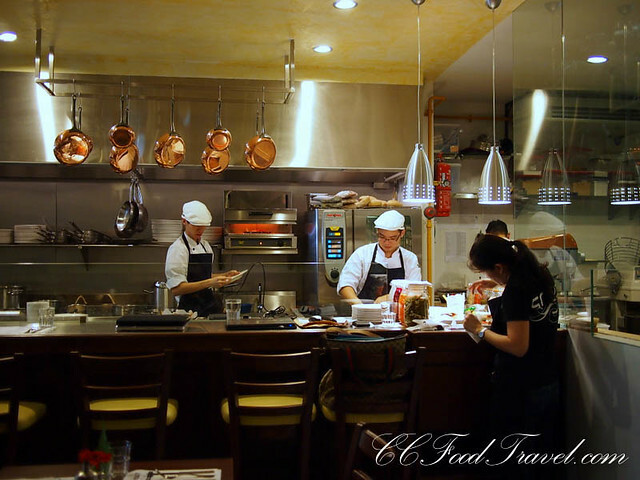 It is still sizzling when it arrives at the table, and the smell of soft, caramelized cheese bubbling away is to die for. One of those simple meals that makes you want to run to the kitchen and slap the chef on the back for doing such a fine job of lunch. Anyway, since that day, I’ve always hunted for a good version of the Croque Monsieur, and when I saw it on the menu at Yeast, I just had to order it. The croque monsieur is a dish so iconically, ridiculously French that it’s one of the first items of vocabulary that many aspiring linguists learn, I am told, although, it really is nothing more than a hot sandwich, made of 2 slices of buttered bread with the crusts removed, filled with thin slices of Gruyère cheese and a slice of lean ham. Of course, there is one thing that sets the croque apart from other great cheese and ham toasted sandwiches, namely that it sometimes (although not always) arrives at the table drowned in golden and bubbling bechamel sauce. For me, I like a smattering of the sauce.. not too much. So how was the Croque Monsieur at Yeast? To be honest, it really fell flat for me. And priced at RM21 (set) the rather small serving portion was a bit of a let down. Definitely not what I expected, nor would be returning for anytime in the near future. My mates, both incidentally married to frenchmen, were rather disappointed with their quiche and tart as well. Murmurs of “my mother in law” can do better, were hanging in the air. 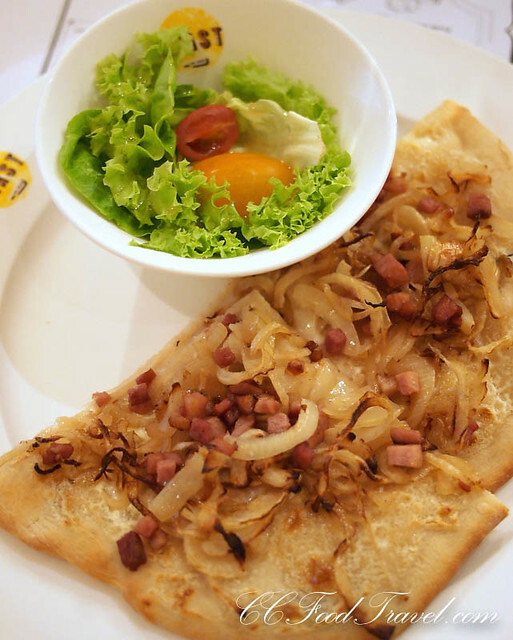 The Traditional Alsatian tart (Smoked duck, sour cream and and onions) had hardly any duck in it. It was mainly dough and onions. Not very appetizing at all. My other mate’s Quiche Lorraine was dry and lacked ingredients. Oh, what a let down. Ah well, if we do return, it will definitely not be for the Croque Monsieur, the Quiche nor the Tart. Dare we even try the baguette? The Parisian iconic bread.. ? Maybe not – it might just be too heartbreaking. More adventures via our FB fanpage! Funny… my quiche was good! Croque monsieur was good enough but I’ve no clue how good it can/should be. White chocolate loaf was gorgeous. But if I return for anything, it would be the bouef bourgignon. Anyway we did return for breakfast on our own, and found the pastry part of their stuff good, but the apple filling in their apple turnover was decent but uninteresting. Ouef cocotte was delicious though tiny. BOO! That’s too bad indeed 🙁 I’ll let them iron out any kinks with their food and visit later. Hmmm a hit and miss place based on the many reviews that came out. I think like Ulric, I will be paying ESC a visit instead. Had a wonderful dinner there 2 Sundays ago. Teddybear Ben never cease to amaze me. 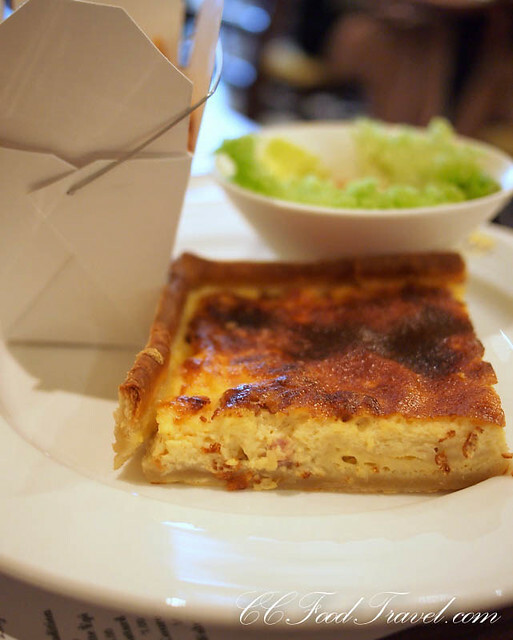 Quiche makes such a great lunch meal. and i love those copper pots and pans hanging in the kitchen!